We have used Lake Garda Real Estate and the wonderful Lisa and Mauro on a regular basis and they provide an exceptional service, not only in locating suitable properties but their on-going assistance and expertise is second to none. We would highly recommend them. Thanks Lisa and Mauro, it is our pleasure to have met you. Lisa and Mauro are a superb team. From our first inquiry through the entire process to taking possession of our new property in Italy, they guided us surely and steadily with accurate and reassuring information and support every step of the way. Lisa and Mauro are a superb team. From our first inquiry through the entire process to taking possession of our new property in Italy, they guided us surely and steadily with accurate and reassuring information and support every step of the way. Now, even after the final transactions, we rely on their consummately professional advice, networks and personal guidance for maintenance, renovations, services and beyond. We are deeply happy with our choice in real estate/property management professionals. Professionalità che al giorno d’oggi paga sempre, ottime soluzioni immobiliari per clienti italiani e non, madrelingua inglese a completa disposizione. Lisa is just fantastic from start to finish. Successfully sold a 2 bed apartment for us meeting our aspirations. On top of this she always goes that extra length to make the process easier especially when we are based in the UK and can't speak the language. Do not hesitate in using this service!! In July 2016 I bought a property through Lake Garda Real Estate. As an International Tourism Consultant I deliver courses on "Providing Service to International Clients". Lake Garda Real Estate understands this concept. Contrary to most real estate agents, their work doesn't stop when the deal is closed but a lot of time is spent in after-sales. Assisting with necessary issues like setting up a bank account, permits, essential repairs to move into the property, every request for assistance is met. Many thanks Lisa and Mauro. If you need any other info based on this review please contact me by email. Lisa will be happy to provide you with my contact details. In July 2016 I bought a property through Lake Garda Real Estate. As an International Tourism Consultant I deliver courses on "Providing Service to International Clients". Lake Garda Real Estate really understands this concept. Contrary to most real estate agents, their work doesn't stop when the deal is closed but a lot of time is spent in after-sales. Assisting with necessary issues like setting up a bank account, permits, essential repairs to move into the property, every request for assistance is met. Many thanks Lisa and Mauro. If you need any other info based on this review please contact me by email. Lisa will be happy to provide you with my contact details. We are very lucky that, while looking for property in Garda, we met with Lisa Webb. She seems to know everything about the area and everyone in it, and we are very impressed with her skills and knowledge. Lisa also has a deep understanding of local customs which she shares with her clients, and whenever we needed help – from translation to advice on the “where’s” and “what’s” – she was there for us, and in fact still is. Even though her job is done, she enthusiastically continues to dedicate her time to solving some of our issues after closing and happily answers all of our questions. Нам повезло познакомиться с агентом по продаже недвижимости Лизой Уэбб, когда мы искали виллу на оз. Гарда. Она очень опытный и грамотный агент, и, кажется, знает все и всех в этом регионе. Обладая обширными знаниями она щедро делится ими с клиентами; Лиза готова всегда придти нам на помощь будь то перевод с итальянского, или совет где и что купить. И хотя работа ее завершена после передачи недвижимости новым владельцам, она не жалеет времени на то, чтобы помочь своим клиентам решить возникающие мелкие проблемы или ответить на вопросы. We highly appreciate Lisa’s kind help with the consequent arrangement of the necessary formalities, which would be, considering our miserable knowledge of Italian, more than problematic. We were very much impressed by the willingness, proactive attitude as well as the perfect organization Lisa provided. 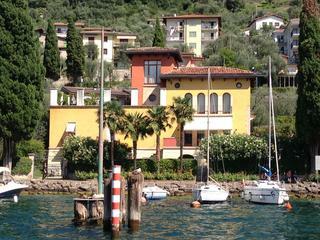 We would like to recommend Lisa Webb Consulting to everyone considering buying a property in Italy. Thank you for your help Lisa once again. Je tomu teprve měsíc, co jsme se úspěšně stali majiteli apartmánu na Lago di Garda prostřednictvím realitní agentury paní Lisy Webb. Od prvního setkání až po konečné podepsaní kontraktu u notáře vše proběhlo na vysoce profesionální úrovni a co víc, v rekordně krátkém čase. Chtěli bychom touto cestou vyjádřit svůj dík paní Lisse Webb a pan Mauro Bellinimu za jejich osobní přístup k nám jako ke klientovi, srozumitelné, vždy transparentní jednání a naprostou spolehlivost. Velice si vážíme následné pomoci při zařizování všech administrativních formalit, které by s naší mizivou znalostí italštiny byly přinejmenším problematické. Ochota paní Lisy Webb, její aktivní pomoc a perfektní organizace na nás udělala veliký dojem. 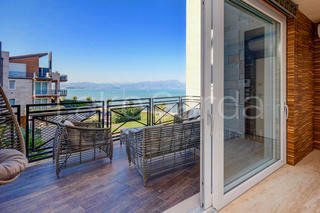 Všem případným zájemcům o reality v Itálii můžeme perfektní služby Lake Garda Real Estate pouze doporučit. Lízo, ještě jednou díky za pomoc. Dear Lisa, just wanted to let you know how much we appreciate all the help you have given us in connection with the recent sale of our property at Lake Garda. A process which initially seemed extremely daunting became straightforward solely due to your attention to detail and exceptional professionalism. We will always be grateful for the manner in which you not only found a buyer despite being in the depths of an an Italian recession but contacted all the relevant agencies on our behalf. Quite simply we couldn't have done it without you.